A minty blend that has a warm tingling effect when applied. A great way to take pain relief with you, small enough to put in your purse & powerful enough to get rid of those aches & pains. You can also apply a small amount on your temples to help relief a headache. 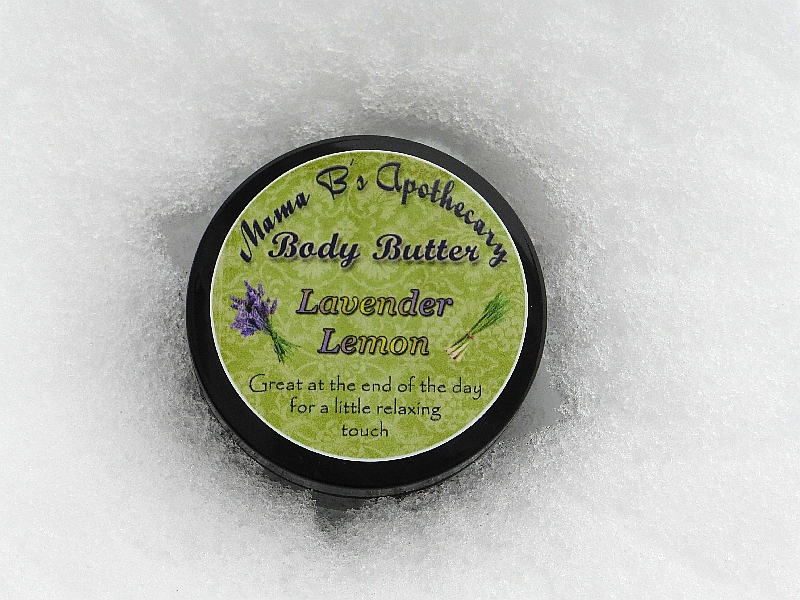 A refreshing blend of lavender & lemongrass essential oils join with some of the best butters & oils for skin to make this creamy body butter. Stock up for winter, or buy some for gifts! 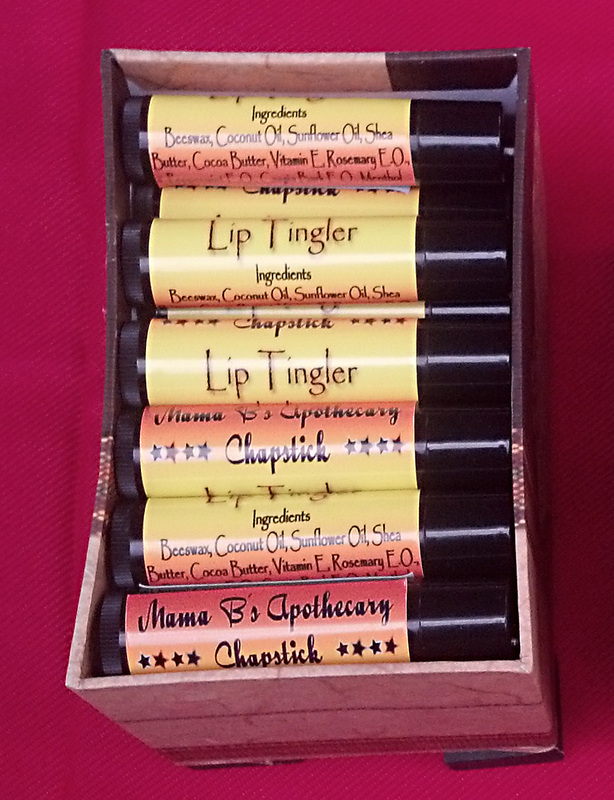 Our all natural, organic chapsticks are on sale, buy 3 for just $8.00! **PLEASE NOTE which 3 scents you would like when you place your order, if none are listed I will choose a variety! Thanks! A fresh fall fragrance, this blend of oils brings the comforting smell of fall to your home. Use as a room fresher or as a perfume, the essential oils in this blend also double as a bug repellant, an added bonus if you enjoy the outdoors! 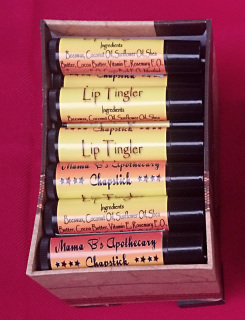 Lip Tingler is a minty blend, it has a slight tingle/warmth to it when applied. Lavender Lemon is a relaxing blend of lavender & lemongrass essential oils. Sun Kissed Citrus has a slight scent of chocolate from the cocoa butter which is paired with a citrus blend of essential oils. 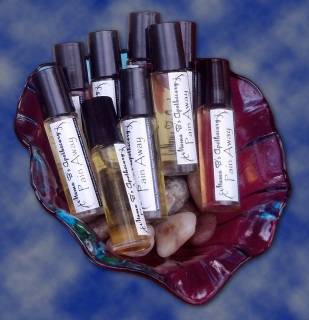 Roll-on Oils These are a great way to take them on the go! 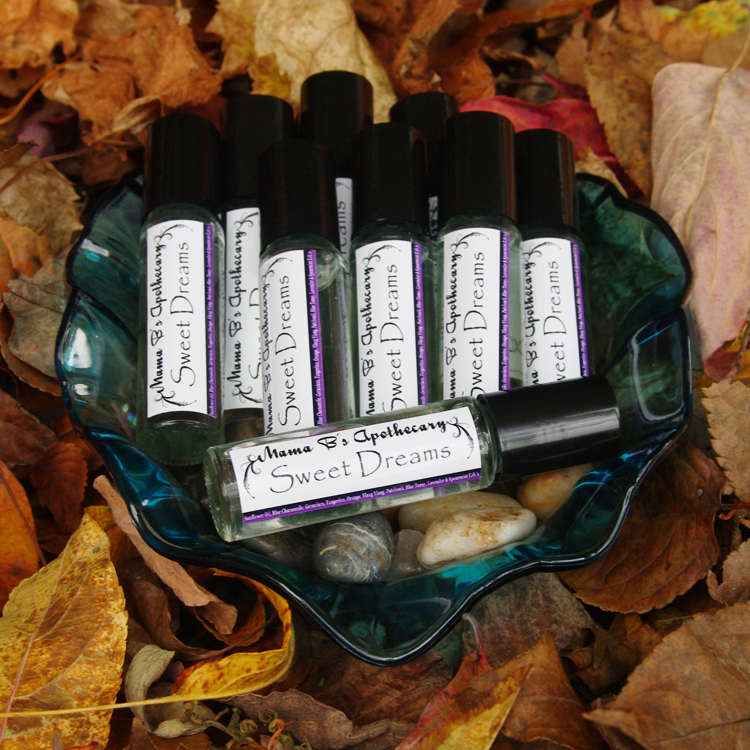 Sweet Dreams is a blend of lavender, chamomile & several other oils, it will help you relax at the end of the day. Apply to wrists or bottom of the feet. 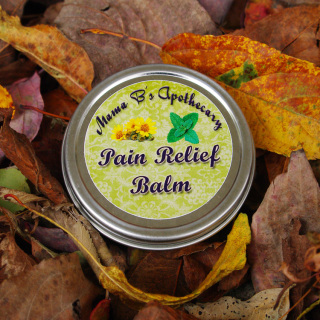 Pain Away is a blend of peppermint, camphor & several analgesic (pain relieving) oils. This blend will have a warming affect on your skin like store-bought pain relief creams. Apply to sore achy muscles or put a little on your temples to help relief a headache. This blend is very similar to the Pain Away roll-on, except in a balm consistency. Apply it to sore achy muscles & feel the pain melt away. This product will warm up like store-bought pain relief creams. Autumn Bliss A fresh fall fragrance, this blend of oils brings the comforting smell of fall to your home. Use as a room fresher or as a perfume, the essential oils in this blend also double as a bug repellant, an added bonus if you enjoy the outdoors! Sweet Dreams A great way to end the day, spray this relaxing blend on your pajamas & pillow before bedtime. Can also be used as a room spray or perfume. 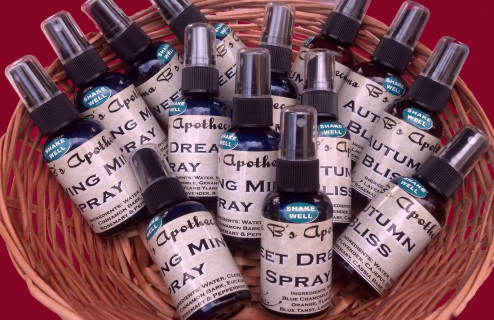 Thieving Mint A great spray for cold & flu season! Combining peppermint & thieves oil to make a very antibacterial, antiviral, & anti-infectious. Spray it in a room, on bedding, in your car, on stinky shoes, etc. Thieves is a blend of clove, lemon, cinnamon bark, eucalyptus radiata, & rosemary oils. 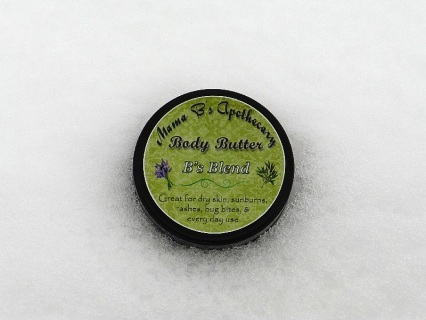 Body Butters are a blend of coconut oil, olive oil, cocoa butter & shea butter. When you first use the product it will feel oily compared to the lotion you are used to, it will soak in within a minute or two & will not clog your pores. Coconut is incredibly moisturizing, as are cocoa & shea butter. These are also scented with essential oils only. You can use these just like you would your usual lotion, these are the only "lotions" I use. 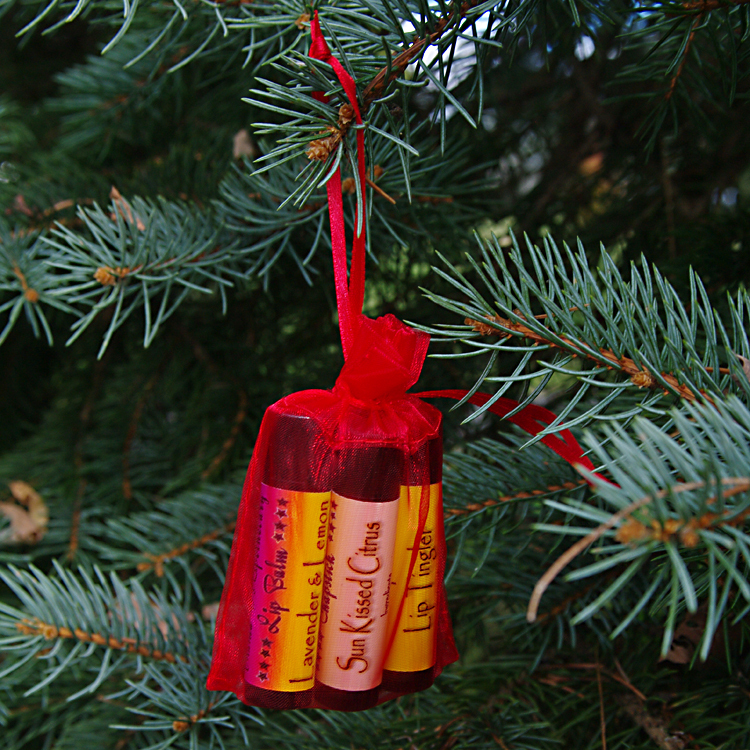 B's Blend is a blend of my personal favorite essential oils, peppermint, lavender & tea tree. This is great for dry skin, rashes, bug bites & minor skin irritations. **Any statements or claims about the possible health benefits conferred by any foods or supplements have not been evaluated by the Food & Drug Administration and are not intended to diagnose, treat, cure or prevent any disease.